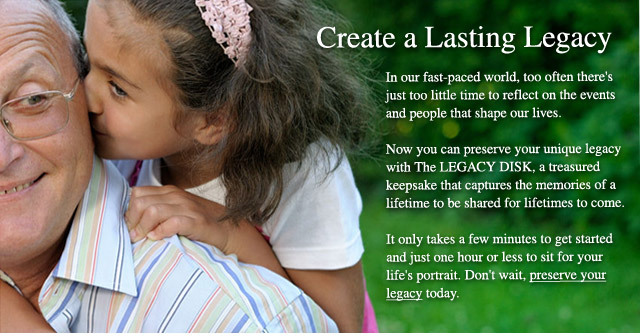 Preserve your legacy or that of a loved one with this most affordable option, professionally produced and packaged. Added bonus features include photo montage and commentary, plus, you'll get a personal Web page to share with others. Now you can preserve your legacy or that of your family's loved ones with The LEGACY DISK, a keepsake tribute that is a simple, elegant and permanent record for families to treasure. This oral video history captures and preserves stories in the first-person, enabling your family to have a direct and personal account of the events and milestones that shape both the present and the future. This broadcast-quality DVD package offers a carefully-crafted intimate life portrait of you or your loved ones. We'll work closely with you and your family to ensure that we tell your story with the dignity and care that story deserves. Our LEGACY ADVISORS will work with you every step of the way, uncovering little-known facts and long-forgotten stories. The LEGACY DISK is a unique and unforgettable means to commemorate wedding anniversaries, family reunions, Mother's/Father's Day, gift occasions or even estate plans. Its the perfect gift to give to both children and grandchildren, as well as to arrange as a tribute to parents or other loved ones. Think back. Just how much do you really know about the legacy handed down to you from your parents? Your grandparents? Don't let your legacy be lost to time. The LEGACY DISK is an easy, exciting and affordable means to ensure that your family's legacy is preserved for today, tomorrow and generations to come. You'll receive the DVD, Web page and the LEGACY BOOK, which will fully enhance and compliment your video production. 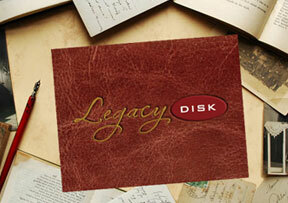 preserve your LEGACY DISK experience. Its like having your own Web site and is the perfect way to share your keepsake tribute with family and friends near and far. 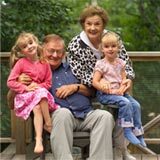 On your personal page, well post selected video segments, family photos, written tributes and more.